Open 7 Days a week, 9-5. 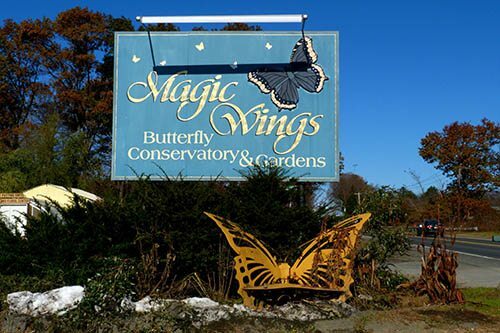 See a butterfly up close at Magic Wings, in Deerfield, MA. Fish pond at Magic Wings, Deerfield, MA. 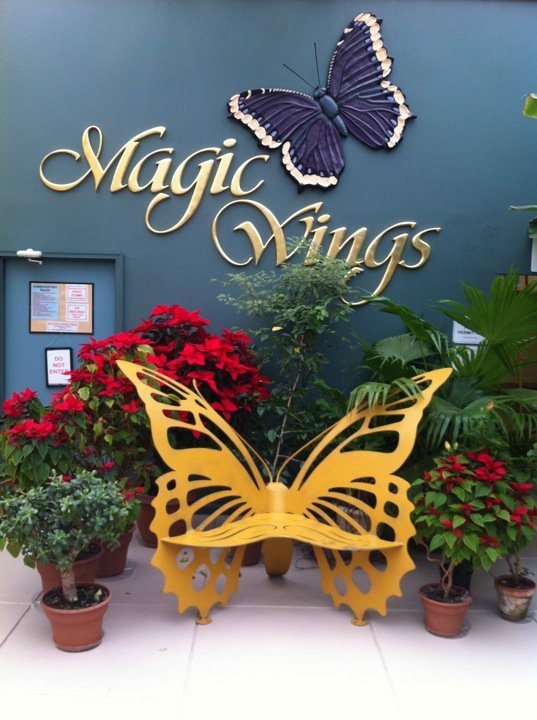 Inside the conservatory at Magic Wings, Deerfield, MA.